Nowadays, the United States has become the largest consumer of coffee across the globe. Few are the people who don’t enjoy a cup of their morning joe before heading to work, or as a pick-me-up during a particularly busy day. The tradition of consuming this beverage among peers or in a place where you can sit down and relax comes from the distant 1700’s Europe and the first Coffee Houses, where people of high intellect and philosophers would meet to exchange opinions and ideas. However, American coffee differs greatly from its modern European cousin. 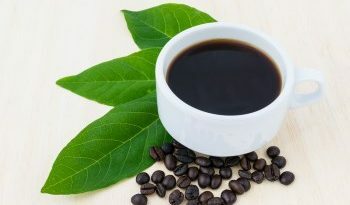 In fact, American coffee is supposed to come in a larger sized cup, it is more expensive and it is customisable to the point in which the flavour of the coffee itself is lost. Some may even compare it to a warm (or iced) milky drink, with the added boost of caffeine, while in Europe, it is hardly as customisable outside of sweetness and whether milk is added or not, the standard size is an espresso is fairly cheap and supposed to be consumed on the spot, rather than with you. Preferences are everything, after all. According to the NCA report the coffee is usually preferred for breakfast, with a spike in preference for cold brew or drip coffee machines. On average, men who drink coffee have been shown to drink 2.3 cups per day, mostly from independent shops rather than bigger chains and that their idea of a coffee is a very strong and bitter drink. Women, on the other hand, are less prone to being coffee drinkers and they prefer sugary and rich flavours, usually from brand name stores and are willing to pay more for their drink rather than their male counterpart. 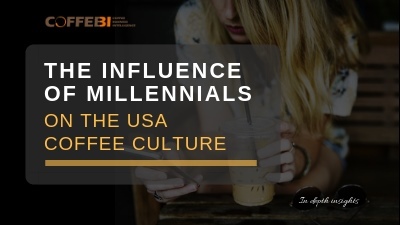 Thanks to the widespread of chains such as Starbucks and their popularity among millennials, is what helped develop the modern American coffee culture. In fact, they are the biggest consumers of the beverage, according to this respective article in the Washington Post, which affirms that as much as 44% of America’s coffee is drank by the young adults. The chance of being able to enjoy your beverage hot or chilled, sitting comfortably in a coffeehouse with your laptop and free Wi-Fi, is what made the modern youth fall in love with the beverage and its place of serving. Pop culture too is has helped the widespread of this energising drink and, according to the article, as widely known chains such as Starbucks or Dunkin Donuts are oftentimes making their appearances on television, as cleverly placed product placements or background elements. These companies are, after all, a statement and a symbol of American culture. Accessibility has also played a great role in this new tradition: one of the interviewees, Choi, states that because it was so easy to go out and get coffee, because no matter your location, there would be at least one coffee shop nearby. Not to forget, they also specify that coffee is more acceptable to drink in public than soda and sugary drinks, due to the image of the person they carry on: someone who drinks soda is usually judged as somewhat lazier or less elegant, while coffee carries a classier note to it. 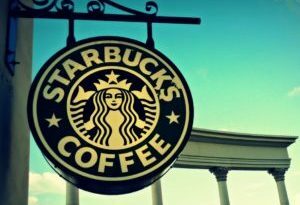 Big chains such as the aforementioned Starbucks or Dunkin’ Donuts aren’t the lone shining stars: Tim Horton’s, Caribou, and The Coffee Bean & Tea Leaf have grown significantly and left their footprint into the field of coffee shops. Of course, the couple that leads the numbers remains Starbucks and Dunkin’ Donuts, with Caribou following close by. Caribou is the largest chain in Minnesota, its own home state, with 283 stores at home and a total of 449 stores nationwide. Dunkin’ Donuts leads the way in 14 States (most of which lie on the east coast) with 11.300 shops, but the unbeaten largest chain in the remaining 35 states is Starbucks, according to Business Insider, and to few’s surprise, with 13.950 shops nationwide, 2.468 in California alone. 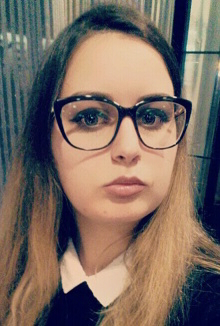 Arianna is a student at the Universtity of Macerata’s Humanistics Department. In 2018, She passed the Cambridge IELTS exam, passing with a Band 8 score. She took her first baby steps in the world of article writing, tourism advertisement and translation.